If you listened very closely, you might have been able to hear the gasp of horror that rippled through the Flickrverse on Friday. The cause? 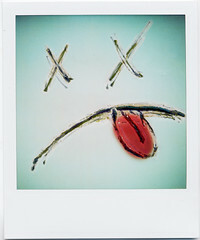 Polaroid has announced that they’re ceasing the production of instant film. 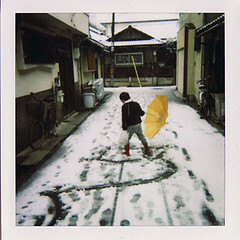 I can’t imagine a world without Polaroid film and given its popularity on Flickr, I’m sure that’s a sentiment felt by many of my fellow members. 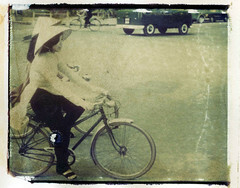 Polaroid groups on Flickr: polaroid, Polaroid -B&W, Polaroid Addiction Monkey, POLAROID EDGE, Polaroid SX 70, Polaroid 55, Polaroid Land Camera, Polaroid SX-70 Manipulation, Polaroid Abuse, Polaroid Transfers, and even more Polaroid groups or view photos in our Polaroid clusters. 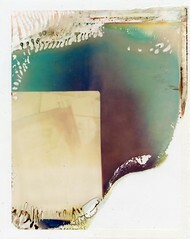 Photos from sx70manipulator, dachuan_sheng, fitzhughfella and APES!!!. Photos: Jördis!, Liberoliber, Henný G, Pink Sherbet Photography.